Home » Otaku Fandom » Thank you Bleach, you changed my life. Thank you Bleach, you changed my life. Bleach began its serialization on August 20, 2001, running in the Japanese manga publication Weekly Shonen Jump. The manga spawned an anime series, video games, anime films, a musical, and so much more. It has become a cultural phenomenon, not just in Japan, but around the world. 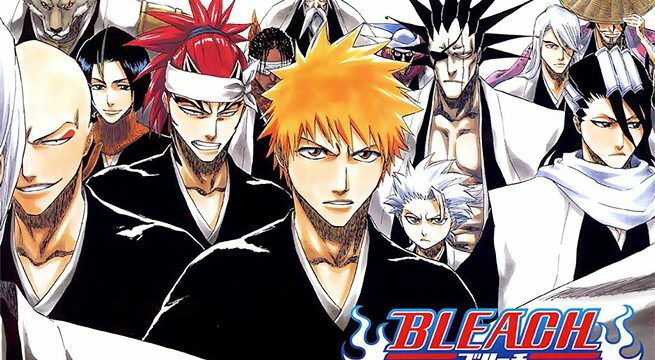 On August 22, 2016 Bleach’s final chapter was released thus ending 15 years of serialization. As we say goodbye to Ichigo, Rukia, Renji, Uryu, Chad and Orihime I wanted to talk about how not only did Bleach change my life, it saved it. Back in 2001, being at college I lost access to a local comic book store. I was hanging with some comic fans like myself, having debates on if Superman could beat the Hulk, or if Batman was richer than Iron Man. During one of these sessions, a friend told us about these Japanese comics he found on the internet. The characters were different than what we would read in DC or Marvel comics, he just gushed over them. There was one series he kept expressing how good it was over and over again: Naruto. It made me want to check this “manga” out. I searched for them and found a site that translated them in English. This site had an incredible amount of manga, but there was one series that stood out called Bleach. I remember thinking “wow, they even have comics based on cleaning products”, so I checked it out. Bleach was unlike anything I had ever read. The story of Ichigo Kurosaki; a teen who could see ghosts, and was still dealing with the trauma of losing his mother. He was bullied due to his strange reddish orange hair, which toughened him up. He meets a young beautiful Shinigami, aka Soul Reaper, named Rukia who dresses like a samurai. Their meeting is an act of fate, for Rukia saves Ichigo’s life after an attack from a malevolent spirit known as a Hollow. This act gives Ichigo the shinigami powers that Rukia possesses, and begins their long journey as partners. I was immediately hooked, I searched the ‘net for more chapters, but came up short. At the time, I didn’t know that it was just serialized and more chapters had yet to be published. As I waited for the next chapter of Bleach, I decided to read other manga, including Prince of Tennis, Ruroni Kenshin and Fullmetal Alchemist. I even started to read the tales of the plucky little ninja called “Naruto”. It didn’t stop there. I found a site to watch anime, and even joined message boards with other anime and manga fans like me. I had started to become an addict, and everything was great for a year. In 2002, I had a series of setbacks that hit me in the span of one week. First, my long-time girlfriend and I had a messy break up. Following that incident, I was forced to leave college early due to an error with financial aid. Finally, a friend who was very dear to me, passed away. Mentally, I couldn’t handle all this hitting me at once, so I retreated into myself, and began not talking to anyone. I fell into a deep depression – my only activity was being on my PC looking at manga and anime, and this lasted days. When I finally felt that I had hit my lowest, a new anime season began with the premiere of the series Bleach. I watched Episode 1 in complete awe, as seeing it in anime form was like seeing the manga again for the first time. Watching the episode melted all the pain I felt. For 20 plus mins I was myself again. Once the episode ended I just started crying. Seeing this episode was the full release I needed and gave me a happiest I haven’t felt in weeks. Bleach rescued me. It brought me out of my shell. Yeah, it sounds a little hokey looking back, but it’s true. Now that the series has ended I feel left with a void. For 15 years, Bleach has been right there for me. I never thought an anime or a manga would change my life in such a profound way. It lead me to a new type of fandom, sparked my love affair of Japan, and literally saved my life. Thank you, Tite Kubo for creating Bleach; there will never be another series like it. I’m still holding out hope that the final arc gets animated one day. For me that would be the greatest way to say goodbye. Mansa is a lover of all things Pop Culture and Geek related. So If your looking for a man who can dry wall, fix your car or build your perfect walk in closet he ain't your guy. But if you need to know the names of the Pilots of the Voltron Force or who sang the theme in the latest Bond flick he's your guy! 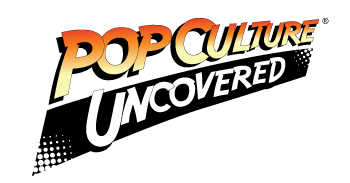 Mansa is also an up and coming podcaster which you can find on Pop Culture Uncovered, MBM Wrestling on Tau Radio and 2 Fat Guys and a Podcast.